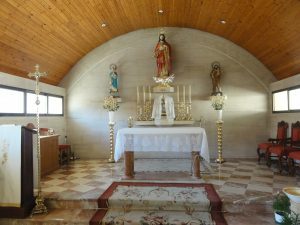 Local Freemasons visit the Franciscan hospice and refuge in Gandia. 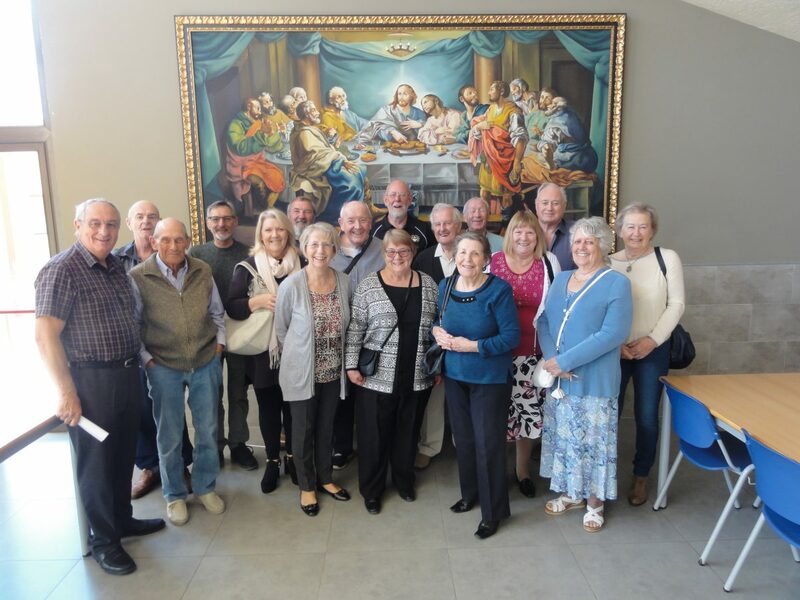 Brethren of local Lodge, Oliva La Safor along with their wives recently visited the Franciscan Men’s Refuge in Gandia to see for themselves how the refuge is run and how the money and gifts raised by the Lodge are being spent and distributed. The Masons did not arrive empty handed! Each brought at least one, and in some cases several, bags of food, clothing and shoes all of which are sorely needed by the refuge. The visit was arranged by the Charity Steward of the Lodge, WBro Jim Jordan and Mr Stephen Carden, a local representative of the Church of England, who regularly visits the refuge and helps out, along with his wife, Linda, in numerous ways. During this visit he acted as both guide and translator and made an excellent job of explaining how the place is run and what magnificent services they provide. 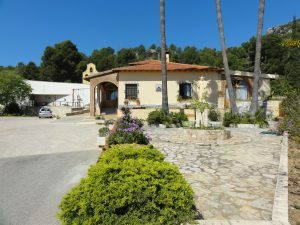 The Franciscan Hospice at Palma de Gandia provides a home and nursing care for around fifty-five homeless men, many of whom suffer from mental or physical illness. Some are terminally ill. These men would otherwise be on the streets and unlikely to survive without this special care. Admission is solely on the basis of need. All nationalities and all religions (or none) are accepted. The hospice is funded entirely by charitable donations, not a cent is received in state aid. Three Franciscan Brothers, (Hermano Guillermo, Hermano Pepe and Hermano Martin) assisted by local volunteers, care for the residents around the clock, every day of the year. Stephen and Linda Carden coordinate the efforts of all English speaking supporters and were most helpful in providing much of the information written here. This wonderful place is a refuge of love and charity. When there is so much bad news in the world, a visit here restores your faith in human nature. It is hard to explain to people who are familiar with the UK system of social security what the Hospice actually does. 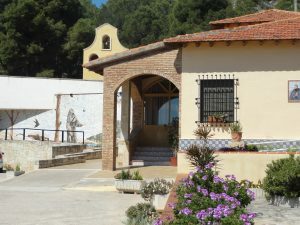 Traditionally in Spain, disadvantaged people have been cared for within their family. The state provision is limited to people who have worked and paid their social security contributions. The Hospice cares for men who, through no fault of their own, have fallen out of the system. Many were abandoned by their families and have never worked, others suffer from severe mental health problems. Although it’s called a Hospice, it’s a hospice in the Mediterranean sense. Not all the residents are terminally ill, although some are. It’s a cross between a UK hospice, a nursing home and a refuge for the homeless. Some of the residents are long term, others come and go. Not all vagrants want to stay. Some come for a shower, a change of clothes, a square meal and a bed for the night, then move on. The Brothers are chronically short of funds to keep the doors open. They need around five thousand euros a month just for their regular bills; but they are always cheerful and resilient. Unpaid bills are put under the statue of St Francis, in the hope of divine assistance! Amazingly, the Brothers have raised sufficient money over the last fifteen years to build a modern infirmary extension. They still need funds to fully use the new facilities, but their commitment to their vows and their Christian faith keeps them going. Fantastic regular support over many years has been received from local Masonic Lodges, including Oliva La Safor and others along with other charitable organisations. At the moment, the men need shoes and trainers (particularly those without laces) socks, underwear (new and NOT white please) and baggy track suit bottoms to fit over adult nappies. They always need long life foods and ‘consumables’ such as soap, shampoo/shower gel, shaving foam, and disposable razors. At the end of the visit WBro Jim Jordan commented on the beautiful setting of the refuge, the cleanliness and order and the peaceful and tranquil atmosphere. All of the Masons and wives were impressed by how well the refuge was run, particularly as everything is run entirely on charitable donations and volunteer workers. It is a great example of how love, caring and generosity can truly overcome many of the problems encountered by the residents and visitors of this wonderful refuge. It is a great pity that there is ever a need for such a place but without it every resident we met would be living on the streets, hungry, uncared for, homeless and friendless. Everyone we encountered seemed happy and content and I suspect each knew what an enormous amount of gratitude they owed to the three hard working Brothers and all the many wonderful volunteers who give up their time and efforts to help.